Head to the Portuguese countryside to explore the UNESCO-listed town of Evora. 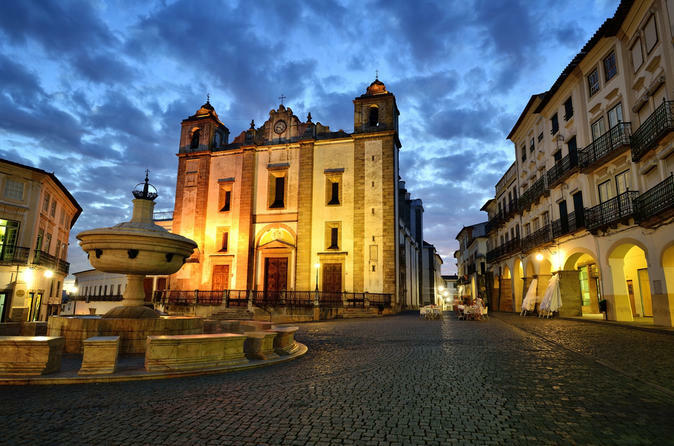 Visit the Roman Temple of Evora, the Bones Chapel, and the square of Geraldo Geraldes. Choose from stops at Monsaraz or Arraiolos before heading back to explore the beautiful city of Lisbon for. This private tour is customizable based on your interests and includes hotel pickup.